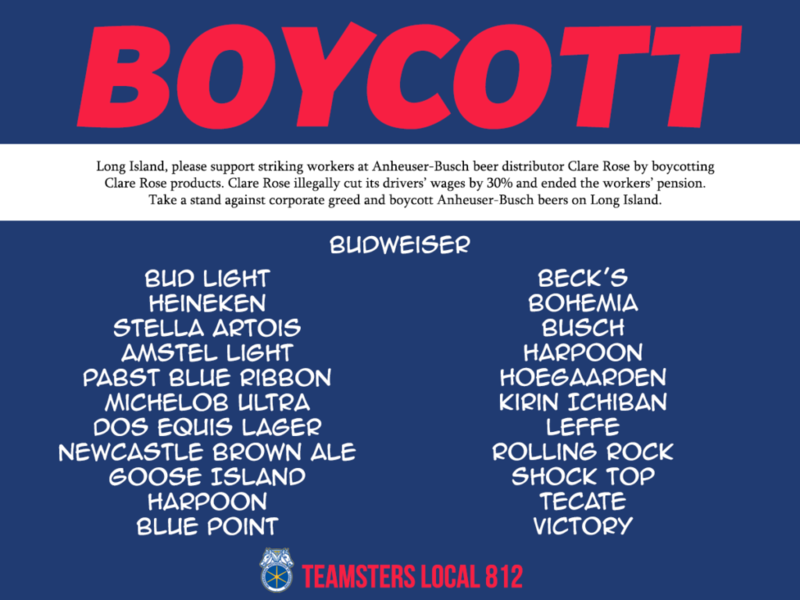 Long Island families and businesses are boycotting Anheuser-Busch products until the strike at Clare Rose ends. 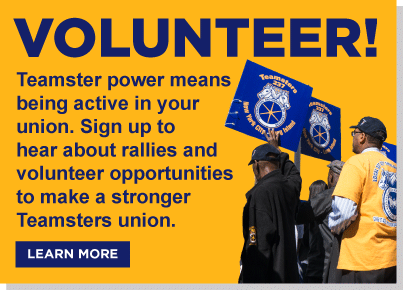 Teamsters Local 812 members have been on strike for more than two months at Clare Rose – the sole Anheuser-Busch distributor for Long Island. Clare Rose cut drivers’ wages by 30% and ended the pension. When workers went on strike to protect their livelihoods, Clare Rose started permanently replacing them. Anheuser-Busch has ignored the abuses at Clare Rose, but we aren’t going to let them ignore it anymore. The week of July 4th is Anheuser-Busch’s biggest sales week of the year on Long Island. We need your help spreading the word about the boycott on this important weekend. 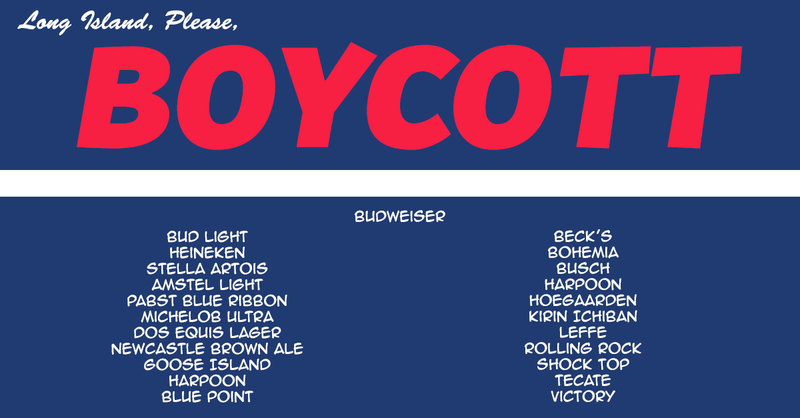 Please share this boycott image on Facebook to remind your friends about the Anheuser-Busch boycott on this all important weekend.